Kentucky FHA Mortgage Guidelines for 2013.
via Kentucky FHA Mortgage Guidelines for 2013. 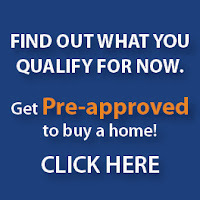 FHA will increase its annual mortgage insurance premium for Kentucky FHA Mortgages beginning in early 2013. For example, for most new Kentucky FHA mortgages by 10 basis points, or 0.10%. Premiums on jumbo mortgages — $625,000 or larger — will also increase by 5 basis points, or 0.5%, to maximum authorized annual mortgage insurance premium. These increases exclude certain Kentucky FHA streamline refinance transactions. Now the big change. It use to be you only paid the annual mip for 60 months or 78% ltv, but now FHA will also require most Kentucky FHA borrowers to continue paying annual premiums for the life of their mortgage loan. In 2001, the FHA cancelled required MIP on loans when the outstanding principal balance reached 78% of the original principal balance. However, FHA will remain responsible for insuring 100% of the outstanding loan balance throughout the entire life of the loan, a term which often extends beyond the cessation of these MIP payments. For credit scores below 620 now, FHA is requiring manual underwriting on loans with decision credit scores below 620 and DTI ratios over 43%, raising down payments on loans above $625,000, access to FHA after foreclosure and continuing efforts to improve risk management. 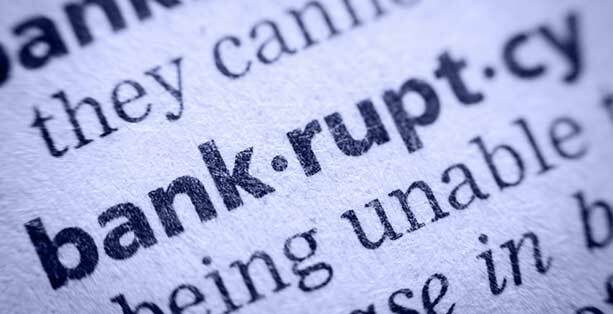 There is still a 3 year waiting period for foreclosures and 2 years for a bankruptcy with no lates after bankruptcies. IF you have lates after bankrupcty , it will be hard to get a mortgage loan again. The FHA will also step up its efforts for approved lenders with regard to aggressive marketing to borrowers with previous foreclosures, while also reminding lenders of their duty to fully underwrite loan applications. All new loans must meet FHA guidelines. FHA will announce a proposal to increase down payment requirements for mortgages that have original principal balances above $625,000. The minimum down payment requirement for these mortgages will increase from 3.5% to 5%. Additionally, the FHA will require lenders to manually underwrite loans of which borrowers have a credit score below 620 as well as a total debt-to-income ratio greater than 43%. Thus, lenders will be required to document compensating factors supporting underwriting decisions to approve loans where parameters are exceeded. Kentucky Housing first mortgage loans guidelines for 2013.
via Kentucky Housing first mortgage loans guidelines for 2013. Minimum credit score of 680 or better. If you don’t mind, go ahead and get the following things together and I will see what you how much qualify for on a home. This is a free process, in case you were wondering. You can fax or email the above documents to me and I will get you pre-approved for free and supply you a copy of your credit report for free. New Reduced MI Premiums Today! 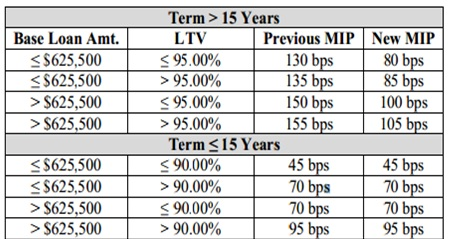 HUD announced in Mortgagee Letter 2015-01, certain FHA loans will have a reduced monthly MIP factor as reflected in the below table. The rate reduction for annual MIP applies to all FHA mortgages with terms greater than 15 years, excluding streamline refinance transactions that are refinancing existing FHA loans that were endorsed on or before May 31, 2009. Thanks to previous changes to the FHA program, borrowers now have to pay mortgage insurance premiums longer than ever. Effective April 1, 2013 these are the new Kentucky FHA PMI Rates. There are two kinds of Kentucky FHA PMI Insurance. To calculate your FHA PMI Premium for a Kentucky FHA loan – take your Loan Amount and multiply it by the UFPMI rate (which will likely be 1.75%). Add that PMI Dollar Figure to your loan amount. That’s what your principal and Insurance is going to be based upon. Then that that TOTAL Loan Amount (including your Upfront PMI) and multiply that by the Annual FHA PMI Rate. Divide that number by 12. You will have THAT amount added to your Principal and Interest Payment with loans that have case numbers pulled after the end of March 2013. Additionally, you will note that the new effective annual FHA PMI rates for loans with an LTV of less than or equal to 78 percent and with terms of up to 15 years have gone from ZERO to .45%. The new annual FHA PMI changes ONLY for these loans is effective for case numbers assigned on or after June 3, 2013. 2013 Kentucky FHA Mortgage Changes to Mortgage Insurance. via 2013 Kentucky FHA Mortgage Changes to Mortgage Insurance. FHA will raise the annual mortgage insurance premium paid by borrowers on most newKentucky FHA loans by 10 basis points, or 0.1 percent, which the agency expects will add $13 a month to the average borrower‘s monthly payments. FHA will also increase premiums on jumbo Kentucky FHA mortgages (those $625,500 or bigger) by 5 basis points or 0.05 percent, to 155 basis points — the maximum currently allowed by law. Certain streamline refinance transactions will be excluded from the premium increases, the agency said. FHA will reverse a policy that automatically canceled required premium payments after loans reached 78 percent of their original value. Most Kentucky FHA borrowers will now have to continue paying annual premiums based on the unpaid principal balance for the life of their mortgage loan. The agency estimates it lost billions of dollars in premium revenue on mortgages endorsed from 2010 through 2012 because of this cancellation policy. Borrowers with FICO credit scores below 620 and a total debt-to-income ratio of more than 43 percent will not be eligible for processing through Kentucky FHA’s automated underwriting system, TOTAL Scorecard. Such will have to be processed manually, with lenders documenting compensating factors such as a larger down payment or a higher level of reserves. FHA will propose an increased minimum down payment on loans between $625,500 to $729,000 to 5 percent from 3.5 percent. ”This change, coupled with the statutory maximum premiums charged for these loans, will help protect FHA and further facilitate its efforts to encourage higher levels of private market participation in the housing finance market,” the agency said. FHA will crack down on lenders that advertise under the false pretense that borrowers can “automatically” qualify for an Kentucky FHA-insured loan three years after a foreclosure. Borrowers who have experienced a foreclosure must have re-established good credit and meet underwriting criteria, including the policy change outlined above for borrowers with credit scores under 620. FHA is also committed to a new housing counseling initiative that would apply to a number of borrower classifications, including borrowers with previous foreclosures, the agency said. Ask us about our February Specials.